The photo was taken by Charlotte's mom, Princess Kate. A new photo of Princess Charlotte has been released by Kensington Palace one day ahead of her second birthday. "The Duke and Duchess of Cambridge are delighted to share a new photograph of Princess Charlotte to mark her second birthday tomorrow," Kensington Palace wrote in a statement today releasing the photo. "TRH would like to thank everyone for the lovely messages they have received & hope that everyone enjoys this photograph as much as they do." Princess Kate took the photos at the family's Anmer Hall home last month. Charlotte is pictured in a yellow sweater featuring baby sheep and a navy blue bow in her hair. The last time Charlotte was seen in public was in December attending church with her parents and Prince George over Christmas in Berkshire near Kate's parent's home in Bucklebury. (Andrew Matthews/AP Photo) Britain's Prince William and Kate, the Duchess of Cambridge with their children Prince George and Princess Charlotte arrive to attend the morning Christmas Day service at St Mark's Church in Englefield, England, Dec. 25, 2016. 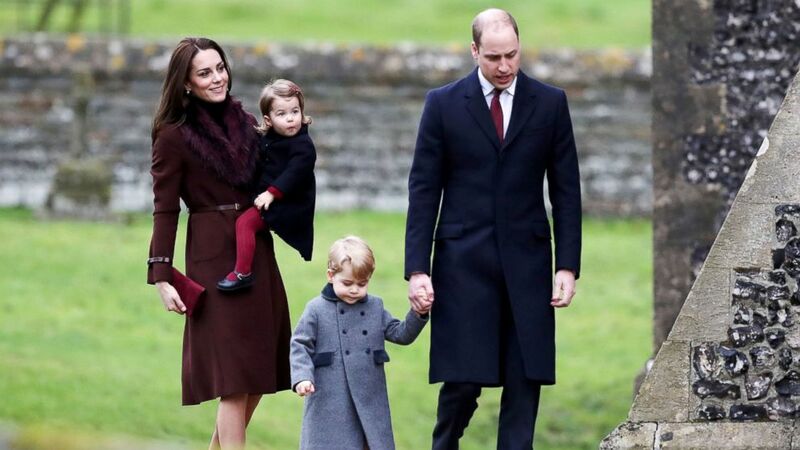 William, 34, and Kate, 35, have been vigilant about shielding Charlotte and her older brother, Prince George, 3, from the paparazzi and protecting their privacy so they can enjoy a normal childhood. William and Kate have released personal photographs of George and Charlotte periodically to satisfy the public's interest in their children. Kate also took four photographs of Charlotte that were released to the public last year for Charlotte's first birthday. (HRH The Duchess of Cambridge) Princess Charlotte poses for a photograph, at Anmer Hall, in Norfolk, England. The princess will celebrate her first birthday on Monday. 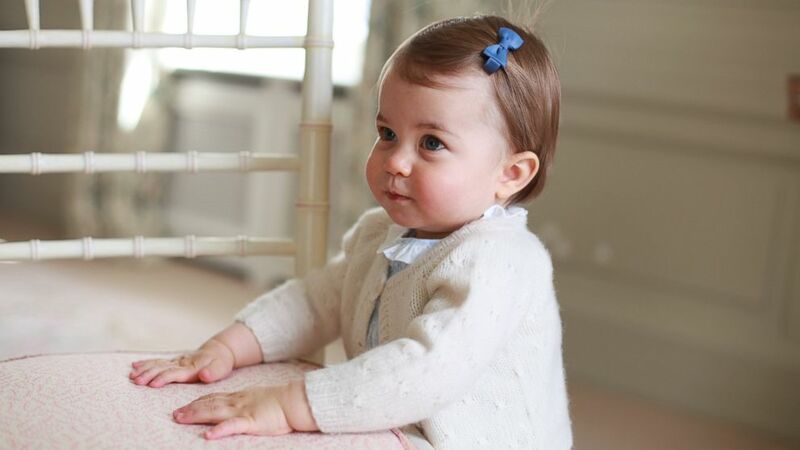 The family is expected to celebrate Charlotte's May 2nd birthday at Anmer Hall. William, Kate and Prince Harry do not have any royal engagements on their schedule for Tuesday. There is no indication what the theme for a birthday celebration will be, but given Charlotte's love of horses, bunnies and balloons, it's a good guess that they may be featured. 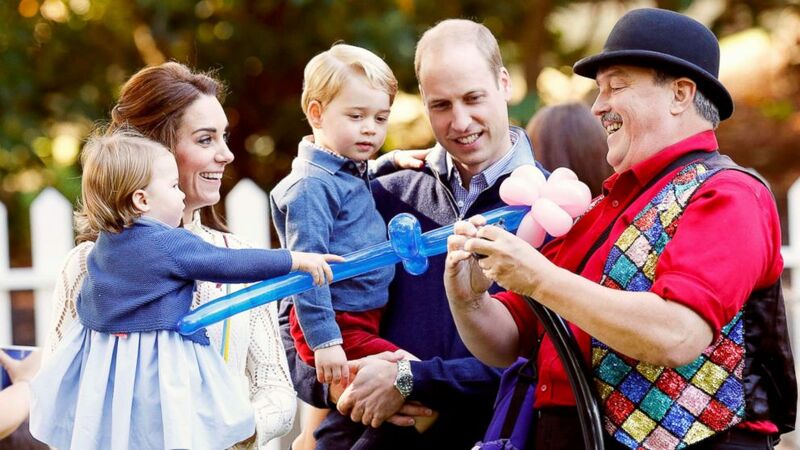 William and Kate's daughter was mesmerized by balloons at a children's party she attended at Government House during William and Kate's tour of Canada last September. She was heard exclaiming "pop" as she pounded on the balloons before hugging a bunny and bouncing on a dog. (Chris Wattie/Reuters) Britain's Princess Charlotte, Catherine, Duchess of Cambridge, Prince George and Prince William, watch as a man inflates balloons at a children's party at Government House in Victoria, British Columbia, Canada, Sept. 29, 2016. Charlotte will serve as a bridesmaid in a few weeks at the May 20 wedding of her aunt, Pippa Middleton, to hedge fund financier James Matthews. Prince George will participate in the wedding as a page boy. The fourth-in-line to the British throne will likely enter a nursery school in either September or January. William and Kate recently announced that George will attend Thomas's Battersea School in London in the fall. The coeducational school gives William and Kate the opportunity to have Charlotte follow in George's footsteps in attending Thomas's Battersea. For preschool, Charlotte could attend the same Montessori preschool, Mrs. Mynors' Nursery School, now called The Minors Nursery School, in Notting Hill that her father and uncle attended as children. Another option is Maggie & Rose Village Nursery, which is run by the couple's friend, Rose Van Cutsem. William and Kate have described their daughter as "feisty" and a "little joy in heaven." Kate has also described her daughter as "the one in charge" in their family. She was named Charlotte Elizabeth Diana in a tribute to her grandmother, the late Princess Diana, and her great-grandmother, Queen Elizabeth II. Charlotte is also Pippa Middleton's middle name and the feminine version of Charles, the name of Charlotte's grandfather, Prince Charles.